If you are using JComments a long time, you might be not satisfied of how in-built kCaptcha works. Probably you have heard about JComments fork which support Google Captcha. 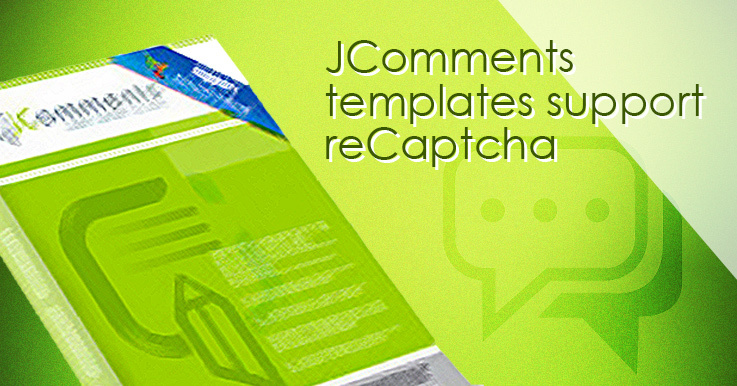 All our templates for JComments were updated to meet reCaptcha requirements. There is a fork of JComments patched to be compatible with PHP7. Moreover, finally it got Google Captcha implementation according to users' requests. No more spam or outdated Captcha. Here is the homepage of this fork on Github. The fork is based on the latest version of JComments 3.0.7 and patched according to the features listed above. Feel free to use this fork on your sites under PHP7.